This image could have imperfections as it’s either historical or reportage. Fitters and chippies (wood butchers) were always conspicuous by their absence at times like those, and during Winter, the Fitters would lock themselves in their cosy enginerooms and the Chippies would not move from their wood burning stoves. Boy did they hate slipping in Winter. Tie heaving line around tank and lead line out through the forward watertight door, up through the fo'rr'ad hatch, through the bullring and onto the anchor winch. Manhandle tank through the sickbay, up the companionway and deposit on the dockside. no but I did assist with removing the three tank system on 2772 and replacing it with the five tank set up - very interesting!!!! 2770's comments re the removal of the fire extiguishing system bought a flashback of memories. Sat below one morning on 2757 enjoying the 1st brew of the day and one of the deckies appears with a gloomy look on his face.. "Ive just been told they want the Co2 bottles taking out.... and theyve asked if we'll do it as the engineers are replacing an exhaust bend... "
Now this was a job id never had to do before.. I knew where the bottles were of course but it had never occured to me how do you get them out!! I soon found out !!! After removing the contents of the locker under the companionway, and finding kit we didnt know we had onboard we proceeded to remove the companionway itself to reveal, securely fastened down, two, or was it 3, huge great rusty metal gas bottles. Our comments to the engine room inhabitants need not be recorded as they sat on the engineroom top offering unhelpful advice. On another note... did anyone ever try to remove a freshwater tank from an RTTL? Hello again 2770. It does not surprise me that Hendon refused your offer. One should bear in mind that they are the RAF museum and if it doesn't fly then they are not interested. It took a great deal of hard work for the lads of the ASR & MCS club to have the two boats on display, and had it not been for the persuasive efforts of Ken Hunter (based at Stafford and now retired) they would not be there. 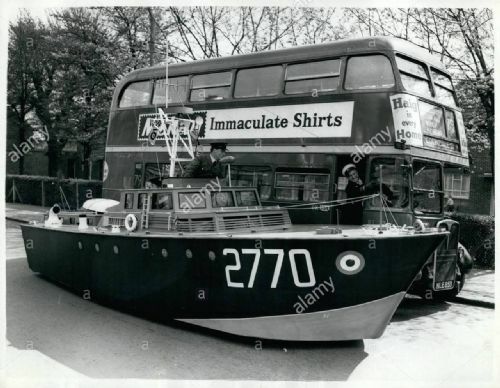 The Marine Branch thankfully was never accepted as part of the RAF proper and we often found that when being annually inspected by the various AOC's that they took us with a pinch of salt and were often overheard saying to their aids " you know I never new that the Raf had boats", " what splendid chaps". I fully concur with your feelings on leaving a quayside when being blown onto it by a gale of wind. The RTTLs were very windborne but at least we had the power of the two Sea Griffons to help. The downside to them was that with both engines at idle, the boat would creep forward at around 5 knots which made for some interesting boat handling at times. If anyone wonders how we actually found ex-2770. 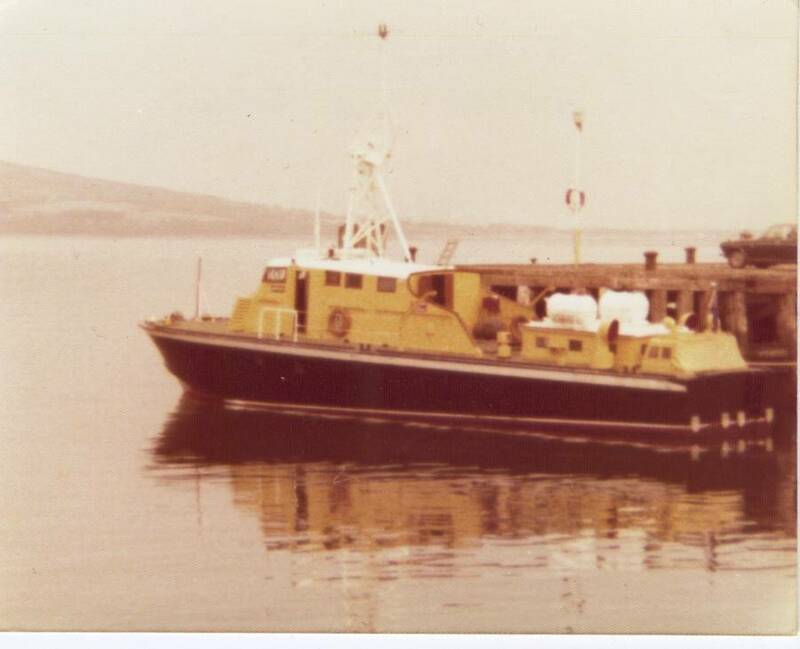 ...We were looking for a vessel of between 70 - 100 ft for conversion, and capable of enduring long sea passages if required. We had been over in Europe inspecting quite a few, some commercial and some pleasure craft, of which two seemed suitable for purpose both by price and being reasonably sea worthy. On return we stopped over in London, staying at the Union Jack club. An old Marine buddy of mine was also staying there and on hearing we were on the hunt showed us an advertisement, just a few simple lines without a photograph of a boat for sale. We decided to have a look at her. She was in an absolutely atrocious state, dried out with hull seams agape, covered in guano, grime and earmarked for burning if she did not sell quickly. We liked her from first sight although she was slightly smaller than our target size and built of wood rather than steel, our preferred hull material. We gave the seller his demanded deposit on the spot. I guess he had decided that having such crazy fools on the hook by buying into such a dilapidated boat required a deposit, just in case we changed our minds. How little he knew of us,nor our intentions. Anyway, how could we possibly pass on her as my father had been Wartime marine craft for a time after being wounded in North Africa. He returned to flying squadrons being declared "now fit for flying". However,he never forgot his fine time in the ASR's. He remained a member of both the Air Force Association (overseas branch) and A.S.R /M.C.S club until his passing. Well, that is how we found ex-2770. Or alternatively in some strange way did she possibly find us?...If you believe in fate that is. D2770 many thanks again for the recent pictures, they are priceless for the history of the vessel i quite agree the old traditional navy log was the best way to log the main engines,on the hour every hour and better than any mechanical meter reading, i am having difficulty reducing my HQ pics below 50 mb to upload to this web site, do you want me to e mail them PM,if so please let me know. ps my handle is not as bad as you think !!!! i have two versions of the above and are good at both !!!! Sure, PM the photographs to me. I am interested to see what of our design changes have survived the test of time and new owner requirement.